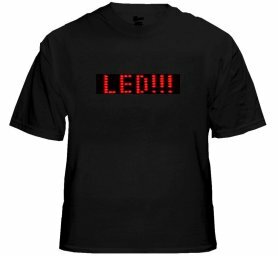 LED T-shirts with programmable scrolling text via Smartphone or via buttons. 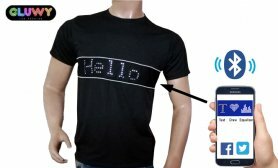 Different colours of LED - White, Blue, Red. 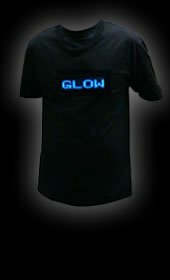 T-shirts in stock ready to sale.